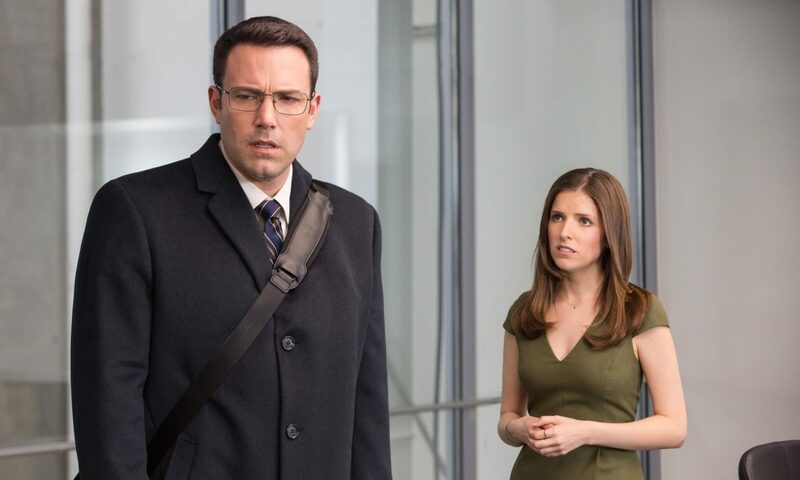 NEW YORK (CNS) — In effect, the action-drama “The Accountant” (Warner Bros.) argues that those with autism have a license to kill as well as to abet a litany of other criminal activities. If this summation makes the movie sound preposterous and morally bankrupt, then so be it. After doing the math, it’s the only deduction one can draw. Ben Affleck stars as Christian Wolff, an autistic man with a genius for crunching numbers and the ability to dispatch adversaries with brutal precision. Wolff’s story is relayed via a series of flashbacks to his turbulent childhood. In the present day, he runs a one-person accounting firm out of a Chicago-area strip mall. Although he lives modestly and takes great pains not to draw attention to himself, he’s amassed a fortune by working as a forensic accountant for drug cartels, mobsters and various despots around the world. His mathematical talent is innate, but owing to rigorous training provided by his father, a military officer, he’s become an expert marksman and lethal fighter — skills that come in handy given the nature of his clientele. In other respects, Wolff presents as a caricature of someone on the autism spectrum. A slave to order and routine, he’s extremely methodical and thorough. Outwardly stolid, he lacks social skills and is unable to make small talk or pick up on non-literal types of communication. His array of adaptive behaviors enables him to cope day-to-day while safely conducting his dangerous business, which amounts to solving complex puzzles for illicit enterprises. Ultimately, he seems to enjoy the work too much. At the urging of his unidentified handler — a woman’s voice on the telephone — Wolff takes on a legitimate customer. At a robotics manufacturing firm, a junior staffer, Dana Cummings (Anna Kendrick), has spotted irregularities in the company’s books and he’s hired to find out where the money has gone. Meanwhile, Treasury Department official Ray King (J.K. Simmons) assigns a young analyst Marybeth Medina (Cynthia Addai-Robinson) to discover the identity of the mathematical whiz known in criminal circles only as The Accountant. A mysterious hit man called Brax (Jon Bernthal) is also stalking him. Director Gavin O’Connor’s presentation of the absurdly convoluted plot is uneven and sometimes ham-fisted. While the attempt to find levity in Wolff’s condition is a welcome respite from the grim proceedings, it also feels borderline offensive. Generally wooden acting doesn’t make the movie’s conceit any easier to swallow. Despite its high, though not graphic, level of violence and a steady flow of bad language, “The Accountant” might be chalked up as a fairly intriguing, imperfectly executed twist on a durable entertainment formula. Preventing that from happening is the fact that the film doubles down on its perverse premise by making an explicit plea for greater sensitivity toward those who aren’t “NT” — neurotypicals. To argue that the autistic should be considered “different” rather than abnormal or freakish is both plausible and valuable. Yet this message is undercut because Wolff is given a pass morally and is not accountable for his actions. The movie asks the viewer to show understanding toward Wolff, when, ironically, he shows no mercy or empathy toward his many victims. Indeed, there’s scant indication he is able to discern right from wrong. There a several vague mentions of him operating according his own moral code, though it’s difficult to say what that might be. Surely it’s not the idea that it’s OK to murder and facilitate crime as long as you’re funding research and supporting the humane treatment of the autistic. Philosophically, the movie highlights the danger of lapsing into relativism when the celebration of “difference” goes too far. Christian Wolff is handicapped in a crucial respect, one that is fundamental to humanity. He is deeply flawed as a moral being and ought to be judged and treated differently than those who experience remorse and, whether or not they are able express it, change their behavior accordingly. In this regard, “The Accountant” does more than merely trivialize its subject matter. One might say it sets the cause of autism awareness back decades or more to a period comparable to a moral Dark Ages. The film contains frequent intense gun violence and hand-to-hand combat and much rough, crude and profane language. The Catholic News Service classification is O — morally offensive. The Motion Picture Association of America rating is R — restricted. Under 17 requires accompanying parent or adult guardian. McCarthy is a guest reviewer for Catholic News Service.